Sleep with an extra layer of comfort with the WEEKENDER 2 in. Memory Foam Mattress Topper. The ventilated design increases airflow to help regulate body temperature through the night. Its soft, supportive memory foam quickly conforms to your body for customized comfort. Foam is CertiPUR-US certified for quality standards. And it's backed with a 3-year warranty. Talk about extending the life of an old mattress and bringing back the comfort that had been lost!! 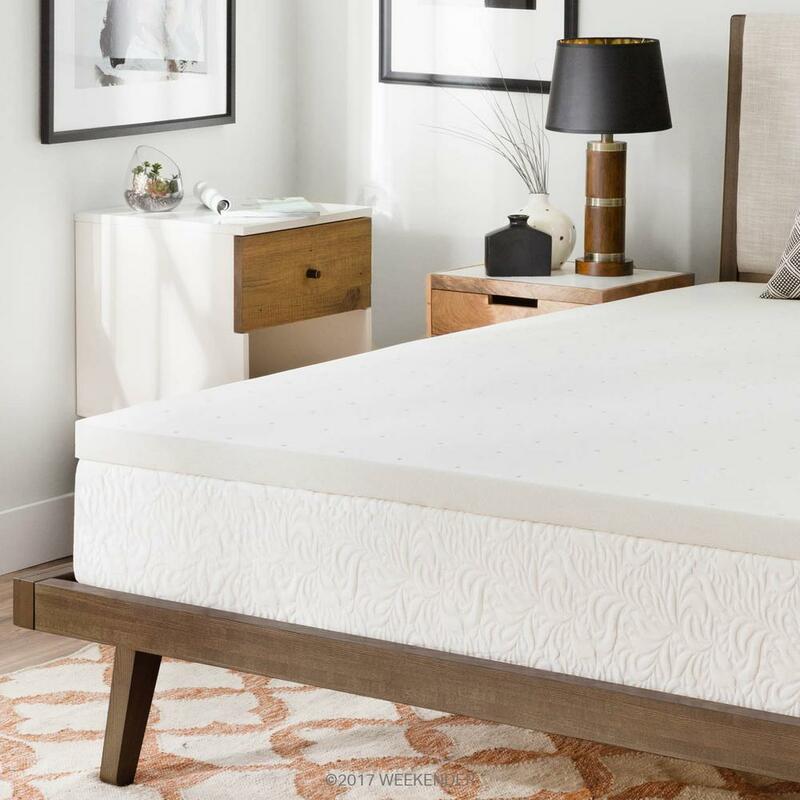 This mattress topper totally exceeded our expectations! For some time my wife and I had thought about spending $100's if not $1000's of dollars on a new quality bed, but thought we would try out this Weekender 2-inch memory foam mattress instead at a fraction of the cost. A good friend had recommended it to us. What we found out was that we slept extremely comfortable on it, saved a ton of money, but didn't sacrifice quality! This is a top notch mattress topper!! What a difference it made over the 3 days that we gave it a test run!! I couldn't wait to post a review and recommend it to all!! We thoroughly enjoyed this mattress topper and hardly felt each other during the night. That is super important to me as I am a light sleeper. If you want a high quality mattress topper for an excellent price... look no further! 2out of 4found this review helpful. This contributor has not submitted any questions. This contributor has not submitted any answers.